With an excellent location only 2 blocks off the town square in Ashland, this 1930s brick home has undergone several renovations and updates in the past 2 years: new roof, paint inside & out, kitchen appliances, A/C unit, water heater, storm windows and driveway, along with some updates on plumbing (kitchen & bath) as well as electrical. This home offers 2663 SF of space with 3 large bedrooms and 1 bathroom, spacious living and dining rooms, brick fireplace, and kitchen equipped with all appliances and plenty of cabinets for storage. 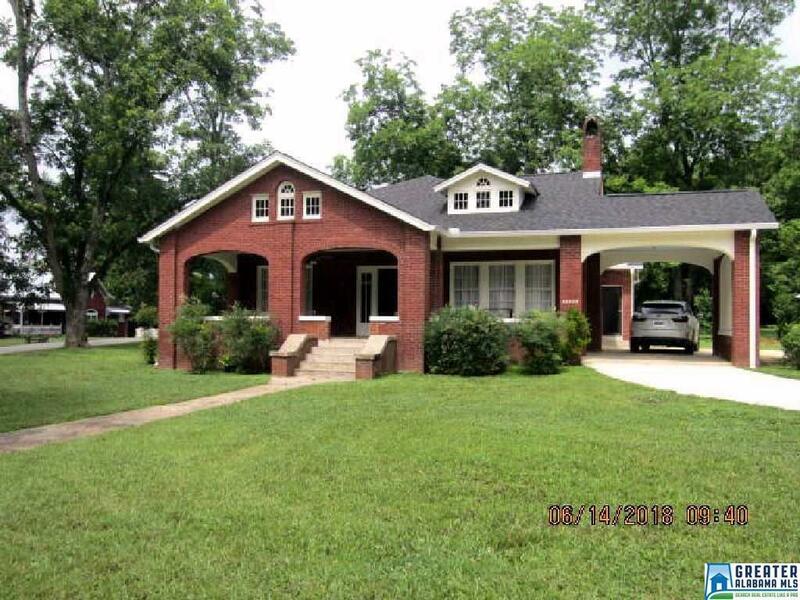 Other features of the home include a great front porch for relaxing, an attached portico, separate detached garage, and outside storage building. Driving Directions: 2 Blocks Off The Ashland Square On Hwy. 9 South. Property On The Right.